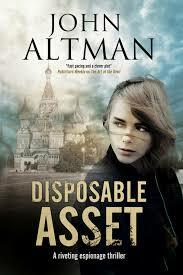 Today I’m delighted to welcome John Altman to the CTG blog to talk about his new book DISPOSABLE ASSET. A big thank you to John Altman for dropping by the blog today to talk to us about his latest book and his writing process. DISPOSABLE ASSET, published by Severn House, is out now.